Long before it became his calling, music was Mac Wiseman’s greatest passion. In fact, the 89-year-old Nashville legend, who will be inducted on Sunday night to the Country Music Hall of Fame along with Ronnie Milsap and the late Hank Cochran, was fascinated long before he ever learned to pick a guitar or carry a note in tune. 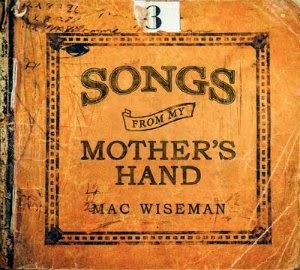 It was Wiseman's mother, however, who seems to have encouraged his musical enthusiasm the most: An avid radio listener, she would jot down song lyrics as she heard them being sung live on the air, perhaps getting just a snippet one day and having to tune in on subsequent days (when the songs would be performed all over again) to get the rest. Her transcriptions ultimately filled 13 composition books. Wiseman, in turn, soaked up the words and the stories they told. And soon enough he was singing along to these old ballads playing on the radio — by the time he was a teenager he’d learned to accompany himself on a $3.95 Sears & Roebuck guitar — unwittingly gaining musical and narrative insights that would prove invaluable and, in a way, prophetic. Indeed, a dozen of these most formative musical memories are the foundation of Wiseman’s latest LP, Songs From My Mother’s Hand (Wrinkled Records). Produced by Thomm Jutz and Peter Cooper, the album finds Wiseman revisiting titles like “Answer to Weeping Willow,” “The Wreck of the Number Nine,” and “Blue Ridge Mountain Blues,” investing each age-old tale of universal burden and common tragedy with the sort of empathy that comes only from personal experience. In a lifetime of remarkable achievements, Songs From My Mother’s Hand may be his best one yet. In reading about Songs From My Mother’s Hand, it’s evident how enthusiastic for music these songs made you at such a young age. I have very good memories of my childhood from about four years old. Some of those old songs I learned at that age. The ballads were always fascinating to me, the ones that told true stories of life — a slice of life, so to speak — whether it was love songs or tragedies or whatever. I could identify with them. The songs that painted word pictures, so to speak, were the ones that really stuck with me. Your mother wrote down the lyrics to these songs as she heard them playing on the radio. How did the music carry over all these years, though? Well, I learned them as a young fellow by listening to the same radio programs that she copied them from. It was no such thing as a disc-jockey concept back then. It was all live radio…. To my knowledge most of [the songs] don’t have any sheet music or written arrangements. They were hand-me-downs from the old countries as they migrated over here. The experience you had as a child of listening to a record player or to the radio had to have not only informed your appreciation for music but also must have planted the seed of your ambition later on. It really did. Having such a love for those ballads and story-type songs, as I mentioned earlier, they stuck with me. I still remember the lyrics to a lot of them and melodies to a lot of them because I just lived them in the circumstance. Later on when I got into it actively I tried to paint a word picture when I was on my concerts and stuff. What made you believe you could do music as a craft? Oh, I never entertained that idea until I was 17 or 18 years old, going to live shows. I was absolutely blown away by them. I started doing local radio shows just for the pleasure I got out of it. As a songwriter this must be a perpetual challenge, but how do you write a song that is both relevant to its moment and hopefully timeless in the years to follow? I think the secret there — I’m not the best writer in the world; I was always very quick at getting ideas but I always thought other people wrote better songs than I did — [is] you’ve almost got to live that experience or have some connection with it. If you haven’t had some tragedies or lived through them or known about them up close, it’s hard to describe them in a song in a condensed way. You were never especially thrilled with having your music categorized, particularly as bluegrass. Thank you. Your observance is right. And it’s not a malicious thing. Back in the Fifties and Sixties when I was having my best success with records I worked a lot of package shows with Ernest Tubb, Lefty Frizzell, Bob Wills, Maddox Brothers and Rose, people of that vintage… Ray Price. I got as much radio airplay on country stations as they did, but then when they started categorizing bluegrass in the mid-Sixties a lot of the radio stations started to change their format. So that’s where the segregation came in. And when they tagged me as being bluegrass because I had a banjo on quite a few records, they put me in that category. But they really got their hands deep in my pockets when they did that. But you liked Art Tatum and other jazz artists, too. There were all different kinds of music that influenced your taste. Well, yeah, because I majored in radio in college and back then a disc jockey was not a known thing. I played a four-hour set with records every afternoon, but all we had were the pop records because the country labels didn’t service the stations. So I was just as well-versed with Artie Shaw, Harry James, people like that. And later I recorded some of those. I made a recording with Woody Herman, the big band leader, that did quite well. The bottom line for you, it seems, is whether you believe a song is good or not. Exactly. 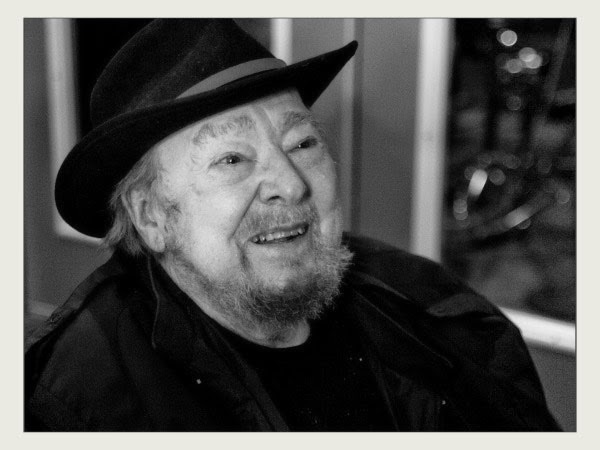 Things like the John Prine album… We recorded Bing Crosby’s old theme, “Where the Blue of the Night (Meets the Gold of the Day).” Later I recorded a CD with Charlie Daniels. I have one I’ve just recorded with Merle Haggard that hasn’t been released yet. What did you record with Haggard? He called me about it, and of course I was excited. It took about 30 seconds to say yes. [Laughs] I assumed that he’d want to do his songs, which I was in favor of because he’s written so many good ones. But he insisted on doing six of my songs and six of his, so I did six of my most successful songs…. We did it live, the whole thing. It was not the overdub thing that is the big pattern these days; we went into the studio. It’s not bluegrass, but it’s entirely acoustical, with the best acoustical pickers you can get in this town. Any idea when that will be released? Well, it’ll be out around the first of the year, next year. It’s very hard to get a distribution arrangement because of the advent of the Internet these days. The Internet has been great as far as exposing music to a broad audience, but it’s not been so great in terms of people paying for music. That’s right. It’s a double-edged sword, of course, getting a lot of exposure to a different class of people — especially the younger people on YouTube and things of that nature — but at the same time people are downloading a lot of just single records for 99 cents and not buying the CD. Right. And it used to be, particularly in pop and rock of the Sixties and Seventies, that the singles weren’t even on the albums. Exactly right. I know the major record companies are having a difficult time at this time, but I don’t have much sympathy for them because they created that monster. Back when I first started recording, it wasn’t a law but it was a professional understanding that a record company didn’t have a publishing company because of the conflict of interest. Then it became the big thing. Every record company’s got a major publishing company, and when they sign artists they make them write. If they can’t write they don’t keep them. So what they did was they’d do a song they published and get a single cut on an album running real well and then they’d put on nine pieces of junk that they published and you had to buy the whole damn thing to get the one you wanted! Just a bunch of filler to make up the rest of the time on an album. Exactly. That’s what’s happened. That’s where the Internet came in and stole their thunder. Some artists, who when asked why don’t people buy albums so much anymore, say it’s because there just isn’t much good music being made. Exactly right. I know this to be a practice: The record companies will sign an artist and if he shows any potential, put him in a room at nine o’clock in the morning and make him stay there ‘til three trying to write whether he can or not. Because they’re going to publish this stuff. That’s no good. You’ve got to be inspired by some occasion, whether it’s tragedy or happiness, to write a song. So you’ve never been one to write by assignment. No, sir. I’ve written a few, but the situation would come up and I’d try to translate it into a song. Do you recognize your influence in younger artists? I really do, and that is one of the most rewarding things, [reading] comments on YouTube, on the Internet… The younger artists, the fact that they’ll do songs I’ve recorded and give me credit and say that they were influenced by my music. You’ve received a lot of honors in your career. What does it mean to you to now be inducted into the Country Music Hall of Fame? It’s a highlight of my entire career, which at this particular point is my seventieth year professionally in this business. I’ve worn a lot of different hats. I heard a little saying that I’m gonna use here. It says, “If you’ve actually done it, it’s not bragging.” I’m the only living member of the original board of directors of the Country Music Association, and I was the first Secretary-Treasurer. So this is really a highlight for me to be able to be of sound mind and be able to recognize it and witness it while I’m still here. Songs From My Mother’s Hand is available now on Wrinkled Records.